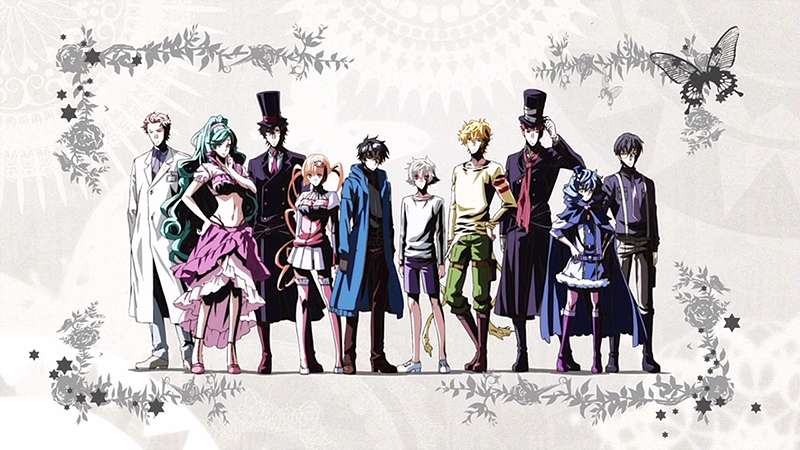 Karneval (TV) is a short-lived anime, the first season of which aired in 2013. Although there's no talk about a second season, the manga is still continuing. Its story revolves around Nai, an innocent young boy who encounters Gareki, a distrustful thief. They work together to get out of a troublesome situation which leads them into meeting Circus, an organization who keeps the citizens safe from criminals who can't be handled by the Security Force. Nai warms up to them immediately, while Gareki has more trouble doing so due to his extreme trust issues. The Circus welcomes them and even helps Nai in his quest to find Karoku. Nai and Gareki also lend whatever help they can contribute to the organization filled with strong and capable fighters. An organization that protects the citizens from the Varuga, monsters that were once humans, Circus certainly needs all the help they can get. They must find evidence which directly points the creation of Varuga to Kafka, the organization they suspect is responsible. But, as fate dictates, goals overlap for Circus and Nai when they find out Karoku is somehow related to Kafka. The anime focuses more on the characters and the relationships formed than the actual storyline. But it certainly does a good job of it. Let's see why the characters deserve the spotlight! 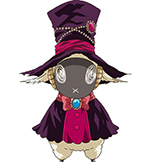 Nai is the main protagonist of Karneval. After the mysterious disappearance of his close companion Karoku, Nai begins his epic journey to find him. He had lived with Karoku for as long as he could remember, so his absence took a huge toll and prompted him to go out into the world he had never explored before. His only clues were a bracelet and eerie pools of blood leading to the ocean. Still very young, Nai has a pure heart and an innocent nature. His disposition resembles that of a fluffy and adorable pet. This may be due to the fact that he is not entirely human. 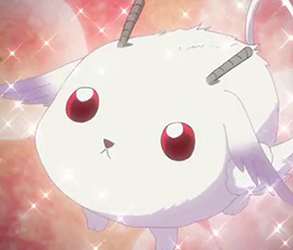 It is later revealed that he is part Niji, a species of cute and fluffy animals that live in the Niji Forest - the forest where Nai and Karoku lived before Karoku disappeared. It is a wonder that he was able to survive in the real world for as long as he did before meeting Gareki. His naivety and harmless nature make him an easy target for all sorts of criminals - including Varuga (humans turned into monsters). In fact, he gets captured by one. 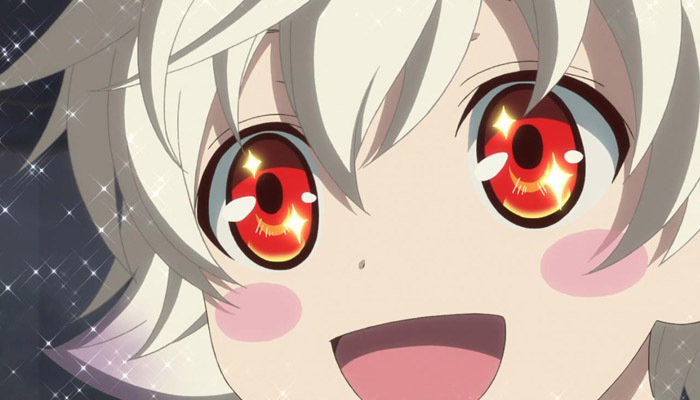 However for some reason, Nai does not display much fear during his captivity. This may be because he is not fully aware of the danger he is in or just because he has a strong mind which helps him stay calm, even in the face of hopelessness. Even after his deadly encounter with the Varuga, he continues to go out alone, disobeying Gareki’s orders to stay hidden. It is remarkable how although he is so young, he is basically immune to fear. Ever since they first met, Nai and Gareki have been extremely close. Nai is always being protected by him and others around him, probably because his weak appearance and personality ignite the motherly instinct in everyone. But even though he is not physically fit to fight, he shows courage and compassion by trying to help when his friends are in danger. His actions to help are not usually successful, but showing boldness despite his fragile nature is pretty amazing in itself and seeing this valor gives others strength to push forward. Nai is willing to go to the greatest lengths possible to ensure his friends' safety. Nai is usually shown as a weak character in the series, but he has certain abilities that, at times, can prove to be quite helpful. His ears are more advanced than human ears and can pick up sounds and signals that people normally cannot hear. This talent proves to be helpful in many situations where the others find themselves relying on Nai, rather than the other way around. He is also very perceptive. He can detect changes in the mood of people and can tell if someone is acting strange or if something is bothering them. He cares deeply for all of his friends. Even though throughout the series his friends increase in number, his feelings and loyalty to each does not diminish. He protects them all in his own cute way and does everything a human-Niji hybrid can. Gareki is a protagonist of the Karneval series. Before meeting Nai, he was a wandering 15-year-old who made a living robbing corrupt people’s houses. He develops skills throughout his life that are useful when getting into mischief, such as strategically using bombs and proficiently using firearms. He is good at the art of escaping and successfully gets himself and Nai out of the Varuga mansion. He is skilled in the streets, but in the beginning of the story, he is no match for the more trained criminals and almost gets killed protecting Nai. He is an intelligent kid, having adept knowledge in technology. He makes the bombs he uses himself and is particularly interested in machinery. He likes reading books that can add to his knowledge and often falls asleep while reading. At first, he saved Nai purely for his own benefit, having heard the Varuga mention that the Nai's bracelet is a Circus ID. He asked for the bracelet in exchange for his help. But Gareki slowly grows to care for him and even gets him food, asking Nai to stay quietly in an abandoned warehouse while he is away. He even tries to look for him when he finds that Nai has disobeyed his orders. He also panics when he sees Nai being chased by an unknown man. He has a tough exterior, hardened by his traumatic childhood. He is distrustful and does not really have a companion who he can call a friend. He has three classifications for people around him: scum, prey, and enemy. When he meets Nai, he becomes confused as to what classification Nai falls under. Though he is rough on the outside, he is soft when it comes to women, children, and later on, his friends. He is also caring and does everything he can to provide help in his own way, even when the others don’t understand his actions. He becomes fiercely protective of Nai. Although unwilling to admit it, he has become deeply attached to him. He does not think twice whenever Nai might be in danger. He even gets bothered when Nai randomly avoids him and he doesn’t know the reason behind his actions. As the story progresses, he gradually opens up to his new friends in Circus and has found that he can call the Circus ship his home. He knows that he has shortcomings and he often gets frustrated by his lack of strength to protect the ones he cares for effectively. He even agrees to go to school and be separated from Nai because it will make him stronger and enable him to contribute more to the ship. He tries to hide it, but it seems that, although they sometimes annoy him, Gareki is truly happy with his new family and cares for them deeply. 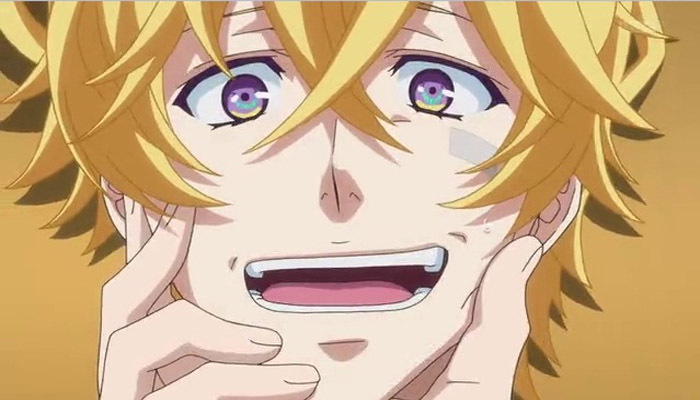 Yogi is a member of the Second Ship of Circus and a subordinate of Hirato. 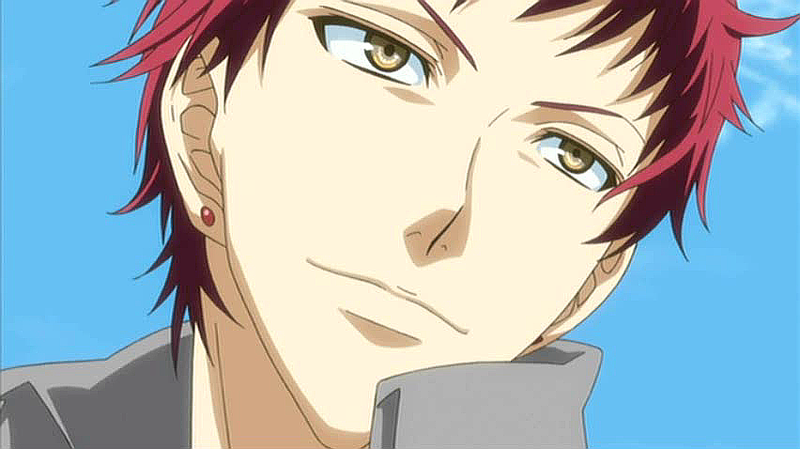 He is often partnered with Tsukumo, a member who he is close with and whose personality contradicts his own completely. He has a childlike personality which allows him to get along with Nai and other children; although this personality annoys Gareki most of the time. He has a bright aura and is often seen smiling and energetically going about. He is constantly teased by almost everyone around him, maybe because of his comical personality. He is shown to be really fond of Gareki. But because his personality is too much for Gareki to handle, he often receives rejection, making him lonely and worry that Gareki does not like him. But he doesn’t give up on showing his affections for him. Though he becomes successful and Gareki starts caring for him and regarding him as a friend, he still gets on Gareki’s nerves from time to time. His fondness of Gareki may stem from the fact that they have similar circumstances when it comes to their childhoods. They both encountered experimentation on other humans which greatly affects who they are now. Yogi is the person inside Nyanperona, a Circus cat mascot that gives candy to kids. He appears whenever the Circus holds a parade or performance. Kids absolutely love him and always wait for him to appear, rejoicing cheerfully when he does. 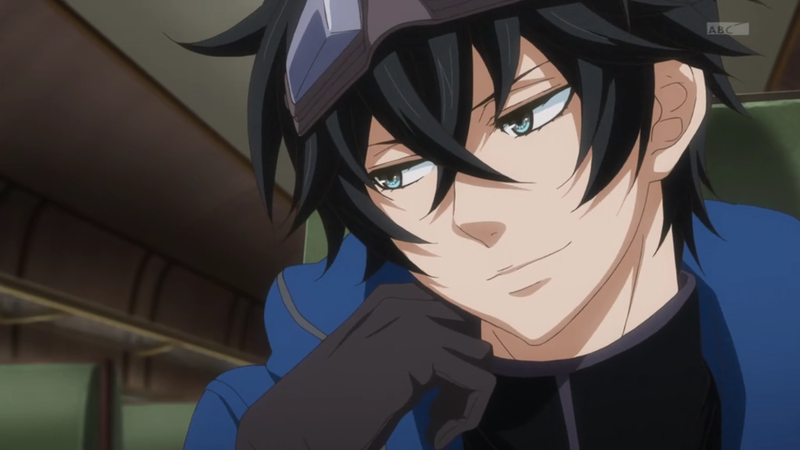 Yogi is shown to be obsessed and devoted to Nyanperona, even insisting that it is real and that by saying otherwise, Gareki is ruining the children’s dreams. His desire to scatter happiness all around him makes him perfect for Nyanperona and his immaturity certainly helps in dealing with the kids. He has an alter-ego, the Silver Yogi. He doesn’t display Yogi’s childish personality and is shown to be more mature. But Yogi’s deep compassion for everyone disappears as well and he becomes extremely violent. But, much to the confusion of his alter-ego, he once ends up saving Gareki’s life. Silver Yogi is more powerful and more aggressive, making him a more effective fighter than Yogi. This alter-ego appears whenever the patch, said to be an allergy patch, on his face wears off. He also doesn’t remember anything that happens when Silver Yogi takes over his body, though some feelings may translate to the original Yogi once he wakes up. He may sometimes be seen as not serious, but his companions, especially Hirato, trust his abilities and strengths as a Circus fighter. He is always protecting Nai and the others, though he may sometimes need protection himself. He is a skilled fighter and as Silver Yogi is much more skillful, as well as ruthless. His will to protect his friends is as fierce as his display of affections for them. Like others, he will sacrifice anything and will not think twice when it comes to saving his friends. His cheerful attitude certainly helps in brightening the otherwise serious aura of the ship. 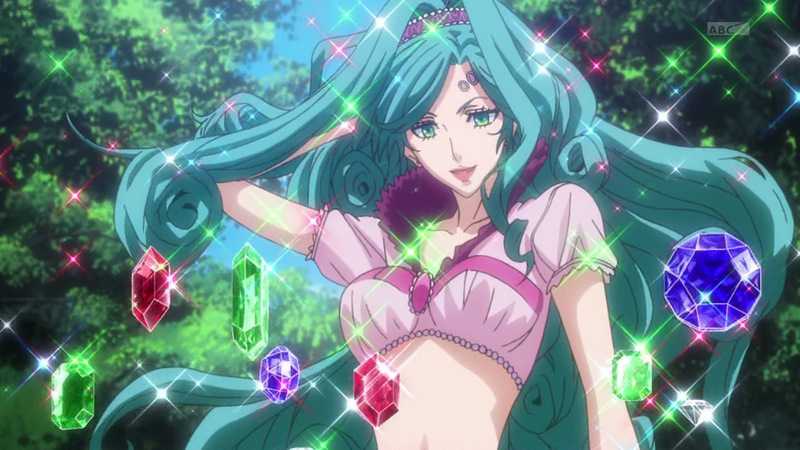 Tsukumo is also a fighter in the Second Ship of Circus and frequently partnered with Yogi in missions. Her personality is completely different from Yogi’s. Contrary to Yogi’s smiling face, she displays a constant poker face. This slowly changes in the series as she becomes able to display more emotions, but nonetheless she remains very reserved. Even as a child, her thoughts are beyond her age. She is mature and thus acts as Nai’s older sister. She is one of the few who doesn’t ridicule Yogi for his personality and behavior. She has a sister-like relationship with Iva, the lieutenant of the Second Ship. Iva is protective of her, much like a real older sister. 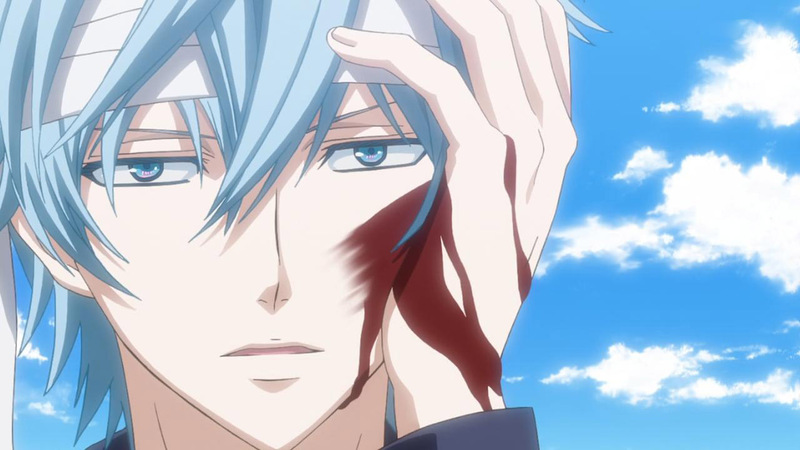 Tsukumo also has great respect for Hirato and sees him as her hero. She works hard to gain his praise and approval. It is unknown whether there’s more to her feelings for Hirato. As expected of a member of Circus, Tsukumo is a skilled fighter. She battles well alongside Yogi with whom she shares resolute trust. She is an acrobat and shown to be quick on her feet. Despite her slender figure, she can fight equally with men. Even though she is not that intuitive when it comes to the emotions of others, she is caring and tries to make her friends happy in her own way. She also regards Gareki as a friend even though he seems to be a bit cold. Tsukumo is very protective and tries to be of help to everyone she meets, especially to her Circus family. 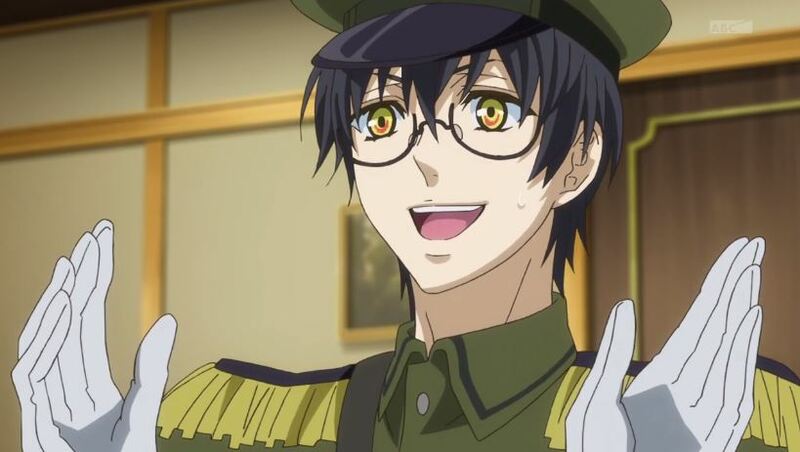 Hirato is the captain of the Second Ship of Circus. He presents himself as a mature and capable adult but everyone around him knows better. He has quite a deceitful nature and likes playing pranks on his subordinates. He especially likes teasing Yogi because he is amused by his overly cheerful nature. Overall, he does a great job at being a captain of Circus, and although he doesn’t take his work that seriously, he does lend his help whenever he thinks that he is truly needed. Though it does not seem like it, he does care for the people in Circus. He appears to be agitated when one of his subordinates is in serious danger. He shows emotions in rare circumstances, but usually wears a cold smile on his face. Nobody knows what his smiles actually mean, but one thing for sure, they certainly don’t mean anything nice. His way of thinking and skills affirms his rank as a captain. He was able to fend off Silver Yogi’s attack without exerting too much effort. Though he likes playing with his subordinates, he is highly respected and no one doubts his capabilities and qualifications as a captain. His reading for people is almost always accurate. He is the one who urges Gareki to go to Kuronomei, a school where one can train before entering Circus. This way, Gareki can join the ship as an official member of Circus. He genuinely cares for everyone in Circus and begins to care for Gareki and Nai as well. Iva is the lieutenant of the Second Ship. She also acts as an older sister to everyone in the Second Ship, being an actual older sister to three younger sisters herself. She likes the role, though; especially towards Tsukumo with whom she likes playing dress up. She is also protective of Tsukumo and would deflect advances of Jiki, a First Ship member, towards her. 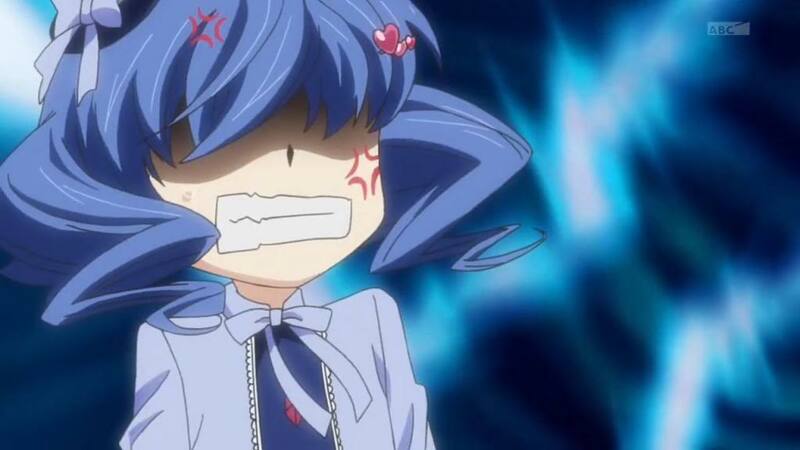 It is common for her to physically attack Jiki because she does not approve of his affections for Tsukumo. She is very feminine but she is physically capable to fight equally with men. She is even stronger than some members of the Circus ship which probably earned her the title of lieutenant. Although she respects Hirato, she is not afraid to voice out her opinions. But still, she is obedient and generally trusts Hirato’s decisions. Hitsuji are the sheep serving the Second Ship. There are a number of them around the ship and they perform a variety of functions. They are mainly responsible for strictly implementing the rules, especially about the security of the entrance and exits of the ship. They stop anyone who attempts to break the rules, as shown when they carry off Gareki when he tries to get into a restricted section of the ship. Yogi, Tsukumo, Gareki, and Nai also use them to regulate the rules when they play Hide and Seek. They do chores around the ship and even take on the task of waking members up. If they locate a Varuga, a mode is activated where they try to kill the Varuga. They can interact and transfer data with the Usagi (Rabbit) of the First Ship. Jiki is a fighter of the First Ship. He appears to be amiable and friendly with people who don't know him much. But if one gets to know him better, he is known to frequently sneer. He likes Tsukumo and tries to constantly get closer to her, although his efforts are always crushed by Iva. For this, he dislikes her and sees her as competition for Tsukumo. 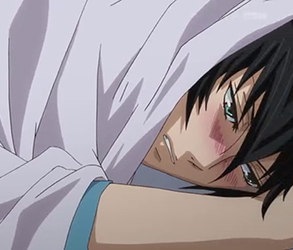 He also doesn't like Gareki, who randomly shows up from nowhere. Part of his hate may be due to Tsukumo's close relationship with Gareki. He also gets angry when Iva pretends to confuse him for Gareki because he can't accept that they are comparable in any way. His relationship with Kiichi may be problematic on the outside, but overall they seem to be close. They trust each other and work well during fights. They both dislike Gareki though Kiichi has different reasons. Jiki's specialties are insects and medicinal plants which he cultivates himself. Kiichi is also a fighter of the First Ship. Members of the First Ship seem to not agree well with the members of the Second Ship and she is no exception. She has a one-sided competition with Tsukumo, who is her senior in Kuronomei Academy. She is the same rank as Yogi, so she gets mad whenever Yogi fails to do his job properly and consequently lectures him. She also strongly dislikes Gareki for being in the Second Ship. She looks down on Gareki and thinks that he does not deserve a place in the ship. Her dislike for everyone stems from the fact that she can be quite competitive. She is a perfectionist and aims to do her missions properly. She will prioritize her missions and may sometimes neglect to mind her comrades. Though she has a strong need to win, she can be calm and composed when dealing with situations. She can be disrespectful, throwing insults around, but she acts nice to Nai. Tsukitachi is the captain of the First Ship. His relationship with Hirato goes way back to being students at Kuronomei Academy. Neither of them take things too seriously. Tsukitachi often conspires with Hirato to get Akari, a Circus member and their former teacher at Kuronomei, drunk because they are both amused by how Akari acts when drunk. He is cheerful and might even be as energetic as Yogi. 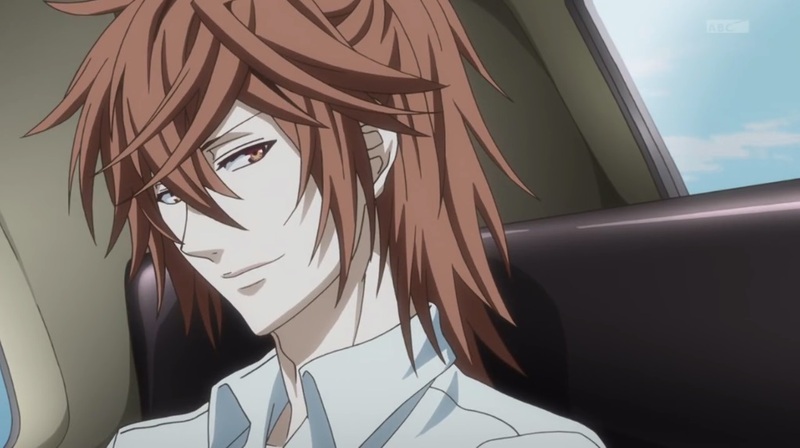 He also likes teasing his subordinates, much like Hirato, but cares for them deeply and saves Kiichi at one point. He is very keen and intuitive of his surroundings, but he dislikes doing paper works. Back at Kuronomei, he was a trouble maker and did not take his studies seriously. He often irks Hirato who is more on the quiet side, but Hirato tolerates him well. Even though it does not show, the two are close and trust each other enough. He also does not mind Gareki going to Kuronomei, trusting Hirato in his decision and also probably acknowledging that Gareki is going to be beneficial to Circus. 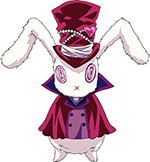 Usagi are the rabbits that roam around the First Ship. They have the same functionalities as the Hitsuji. They enforce the rules on the First Ship and manage its overall security. Like the Hitsuji, they go berserk upon sighting a Varuga. Kiichi often brushes their hair which the Usagi very much welcome. Uro is a member of the Kafka organization. He is pretty hard to read as he may come off as a polite individual. He may even pose to be kind and friendly to strangers. But as shown in the series, he is ruthless and heartless, not hesitating to kill a subordinate over a failed mission. He works for Parunedo, a CEO of a company, and takes care of his granddaughter, Erisyuka. But he could not care less about Parunedo as everything he is doing is for his own selfish reasons. He does his work well and he is also an adept fighter. He does not really care about morals. All he wants to do is experiment on people which just so happens clashes with the morals of Circus. His real master is the older brother of the original Karoku. He does his best as a servant and aims to please him by working dutifully. It is unknown whether he truly serves Karoku or has different plans of his own. There are actually two Karokus in this series. The older brother of the Karoku that Nai is looking for is a member of Kafka and the master of Uro. He is very fond of Nai and calls him his special child. His relationship with Nai is unknown, but he is over protective of Nai. He hates Gareki, probably because Nai is close to him and even manipulates Nai into avoiding him by saying that scary things will happen to Gareki if he keeps hanging around with him. 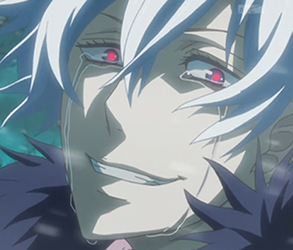 He has asked Nai many times to join his side and leave Circus and went as far as asking if killing Gareki will make it easier for Nai to return to his side. He is different from the Karoku that Nai is looking for because this Karoku is sadistic and won't hesitate to kill anyone - even his younger brother who he doesn't care for much. The original Karoku is probably just as possessive as the Karoku of Kafka, but not to the extent of killing anyone. He also calls Nai his special child. It is later revealed that he created and cared for Nai like a younger brother. He can also be over protective at times. Unlike the Karoku of Kafka, he is gentle and kind-hearted. At first, he did not remember Nai and even hit him, but this was due to the trauma he was experiencing. 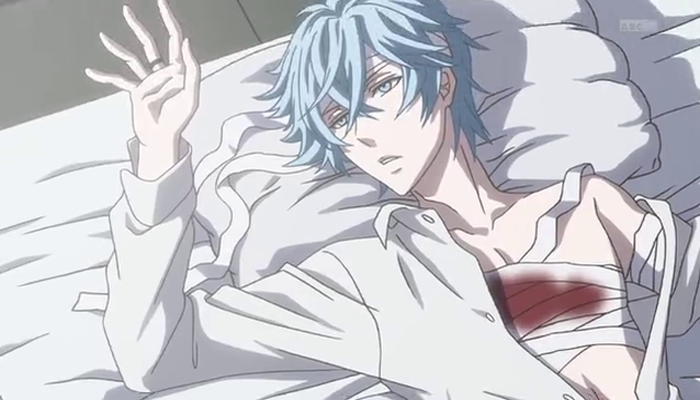 He remembers Nai when he sacrifices himself to protect Karoku. From this point on, he goes back to being the Karoku that Nai knew in the Niji Forest. A summary and analysis of the main and supporting characters of Anohana: The Flower We Saw That Day. Popular music anime Shigatsu wa Kimi no Uso (Your Lie in April) is as much about the characters as it is about the beautiful music they make. Here's a comprehensive look at the main characters in this youth drama anime. The anime Another tells the story of Yomiyama North Middle School's unlucky class 3-3, which suffers from a curse that causes its students and their relatives to die from mysterious causes. Let's meet the poor souls who try to stop the strange events from happening.